The 25-foot 2018 FATMAX® tape measure delivers 13 feet of straighter standout* to help you measure confidently from a distance. It's engineered to fit comfortably in the palm of your hand with baseball-inspired grip, and equipped with our patented Twin-Core™ technology for a compact case design. Plus, it's built to last with the longest-lasting blade coating ever applied to a FATMAX® tape measure and two times the BladeArmor® coating** to reinforce the hook end. 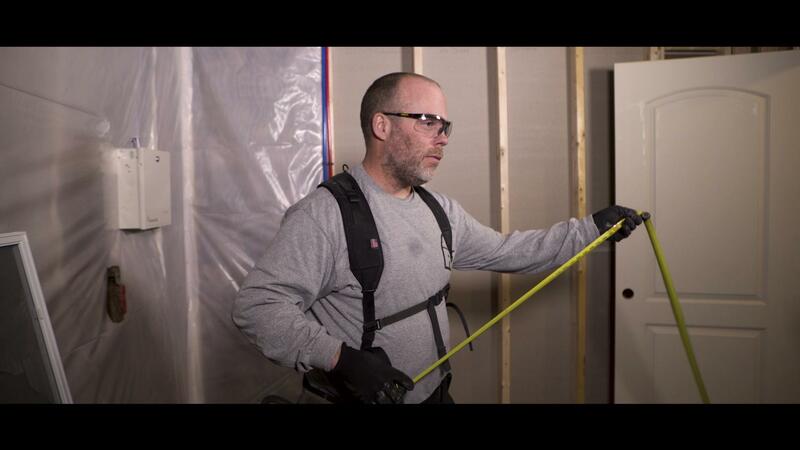 The 25-foot FATMAX® tape measure is designed to help you thrive. It’s our most ergonomic and durable tape measure ever, evolved from the FATMAX tapes you already know and trust. This tape will outlast and outperform, so you can overdeliver every time. Straighter reach than ever before. Go the distance confidently, whether you're balancing on a ladder or planted firmly on the ground. Learn more about different product features by selecting points of interest.